Cilantro, sour cream and cheddar are all optional. Unless you’re me. 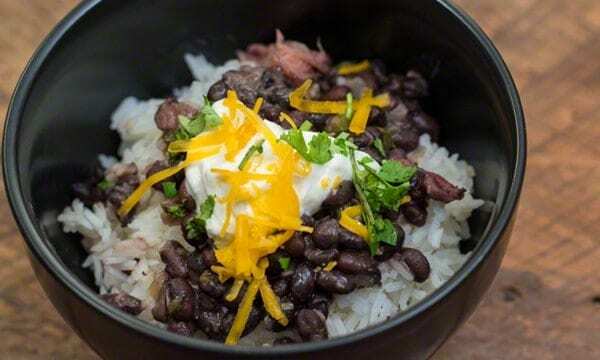 Back when the Olympics were set in Rio, I couldn’t help but think back on my own visit to Rio, and remember a recipe for feijoada: black beans and rice. Feijoada is a dish that is a kind of stew, and the recipe I’m going to share with you was given to me by my friend from Brazil, Mary Lucy. 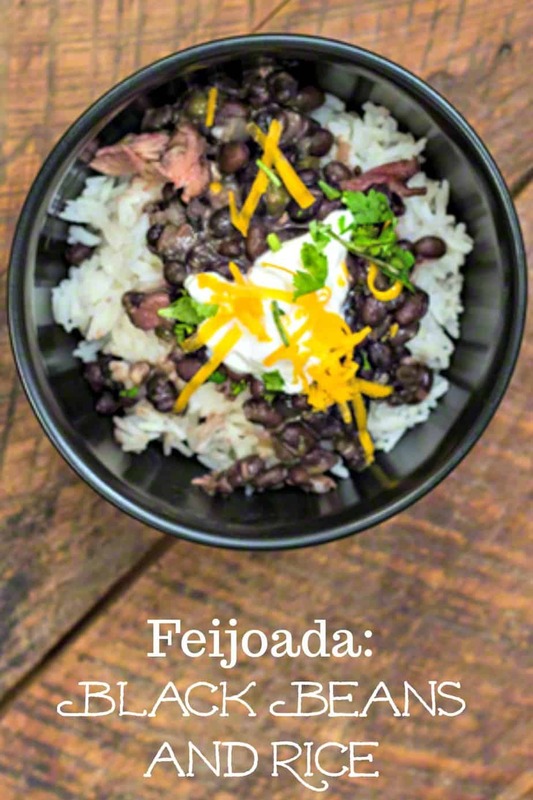 Feijoada, or, what we usually call them, Black Beans and Rice is known as the National Dish of Brazil. 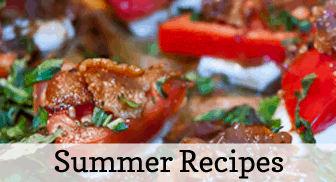 Mary Lucy’s recipe had three kinds of meat: pepperoni, bacon, and Italian sausage. She also used a bouillon cube made by Knorr, that was sold in Brazil. I made her recipe several times until I’d used up the box of bouillon cubes she gave me, and then, I knew the recipe well enough that I decided to strike out on my own and make a reasonable facsimile, using less meat, but still staying in the pork family. 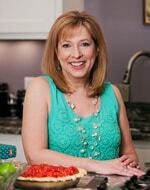 The recipe I’ve developed is part of a trilogy of recipes that I make that use a Honey Baked Ham Bone. I’m going to share with you my secret way to be able to save money, while using a Honey Baked Ham. This is NOT a sponsored post, by the way. 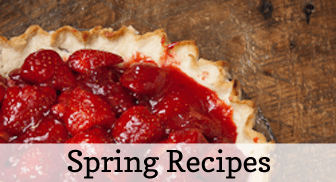 The tips in this post are some things I’ve figured out that makes a very delicious, albeit somewhat expensive product, something that my family can afford – and even save money, while enjoying it. The link I included is a link to the site’s store locator, so you can see if you have one near you. 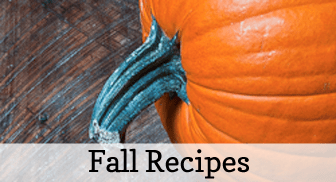 But please don’t go away without first reading this post, and saving this recipe. It is so good, I want you and your family and friends to get to try it! We have this several times a year, every year. It’s a wonderful, wonderful meal. I’d never tasted a Honey Baked Ham until I first got married. My mother in law was hosting a ton of family for Christmas, and she asked my husband to pick up a Honey Baked Ham for her at the store in Nashville, and she would pay us back. This was 28 years ago, and I still remember the sticker shock I experienced when I saw the price of the ham was over $80.00. God only knows what they cost now, almost 30 years later. But I remember thinking over the course of that Christmas what a smart purchase it had been. Not only did she serve it at the main meal, but there was also plenty leftover for sandwiches – even with a house full of hungry people – and when our stay at her house was over, she sent us home with leftover ham. I didn’t see how my husband and I, a little family of two, could ever afford a ham like that. Besides, I thought, most of it would go to waste, anyway, since there were only two of us, so I dismissed the thought of ever buying a ham like that just for us. UNTIL, that is, someone working at the Honey Baked Ham store told me I should consider just buying the Honey Baked Ham bone. What??? Just buy a bone??? Yup. The bone comes with quite a bit of meat on it: enough meat alone for two meals, for a family of four. And some leftover for sandwiches. And a third meal, and possibly the best meal, is this recipe I’m sharing today, that uses the bone, and the scraps of ham. Since I had run out of Mary Lucy’s Brazilian bouillon cubes, I had to find a way to add layers of flavor and seasoning to my feijoda, and as any good southern cook will tell you, there is nothing like a ham bone to flavor a pot of beans. The Honey Baked Ham bone is really sweet and salty and savory, all at the same time. The close up is making my tummy grrrrowwwwlll. But here’s the other secret: if you time your purchase just right, say, right after Christmas, they’ll have sold so much ham, and have so many ham bones in stock in their freezer, that they sometimes (at least at *my* Honey Baked Ham store) have a two-fer deal. So if my unit price is $2.29 a lb. (what it was when I purchased my last ham), I can now get them for $1.15 a pound. So I buy one to eat and cook with right away, and store the other one in my freezer. It really makes buying a $10.00 ham bone a sensible thing to do, when out of that now $5.00 ham bone, I can get 3 meals for a family of 4! One more idea for you: pin this post to Pinterest, and you’ll have it when the Olympics roll around in August. 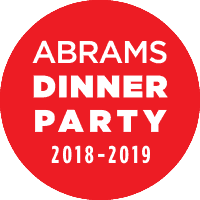 And won’t you feel all smart when your friends come over for a party, and you serve them the National Dish of Brazil that I guarantee you is going to get some TV coverage, because it is *that* delicious. And you will be able to afford to entertain your guests, too, because: “Hello??? Black Beans and Rice??? How affordable!”. So Pin it now, so you’ll have it when you need it! I have another recipe for using the ham that you get on that Honey Baked Ham bone, on this post, Pasta with Ham, Peas, and Cream. 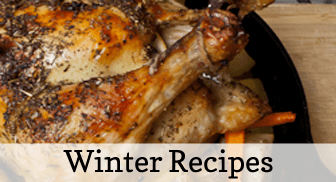 It’s an easy, quick, affordable family favorite. And, I show you precisely, photographically just how much meat you’ll get on a HoneyBaked Ham bone. You won’t want to miss out. When all three are done, I’ll put the links within each post. The national dish of Brazil, feijoada is a delicious stew made from black beans that have been simmered with a ham bone, with chunks of ham, and served over rice. Sort and rinse black beans, being sure to remove any errant stones. I quick brine my beans, by combining the salt, water, and beans in a large Dutch oven and bringing them to a boil over high heat. Remove the pot from the heat, cover, and let stand 1 hour. Drain and rinse the beans in cold water. Put brined beans, ham bone, and 8 c. water into Dutch oven and bring to a boil. Reduce to simmer, and simmer for about 45 minutes. Sauté green pepper and and onion in olive oil until onions are translucent, approximately 5-6 minutes. Add minced garlic and sauté for an additional minute. Add this mixture, and the salt, pepper, oregano, bay leaf, ham and sugar to the beans and ham bone. Simmer beans for another hour. About 5 minutes before serving, add vinegar and wine, and continue simmering for another 5 minutes. Serve over rice, with grated cheddar cheese, sour cream, cilantro and tortilla chips. 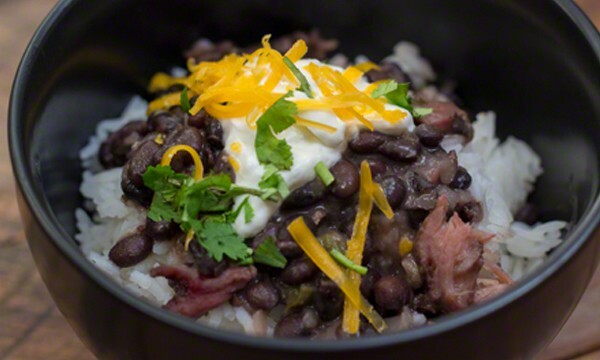 Feijoada, or, Brazilian Black Beans and Rice is the National Dish of Brazil.